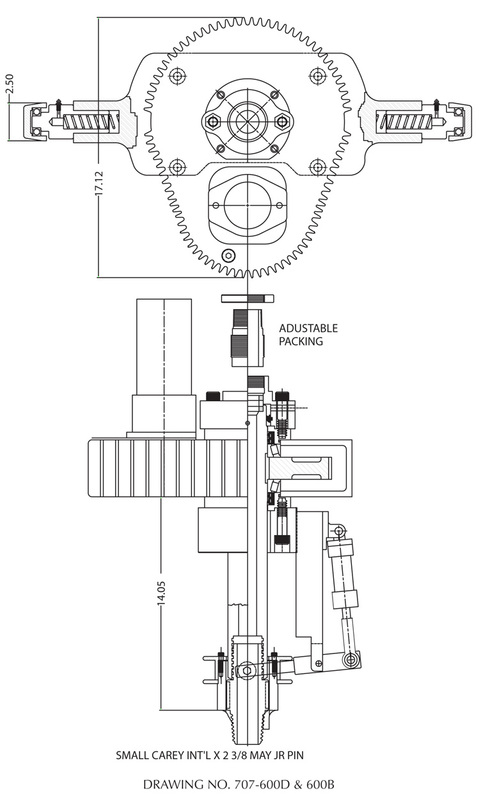 Swivel speed depending on hydraulic G.P.M. 0 to 350 R.P.M. available torque to 1,500 FT. LB. Max Torque at 2,000 P.S.I. pressure: 965 FT. LB. Max Torque at 2,500 P.S.I. pressure: 1,206 FT. LB. Max Torque at 3,000 P.S.I. pressure: 1,450 FT. LB. Motor 6.9 CU. IN. hydraulic motor gear box requires 90 LBS weight gear oil.